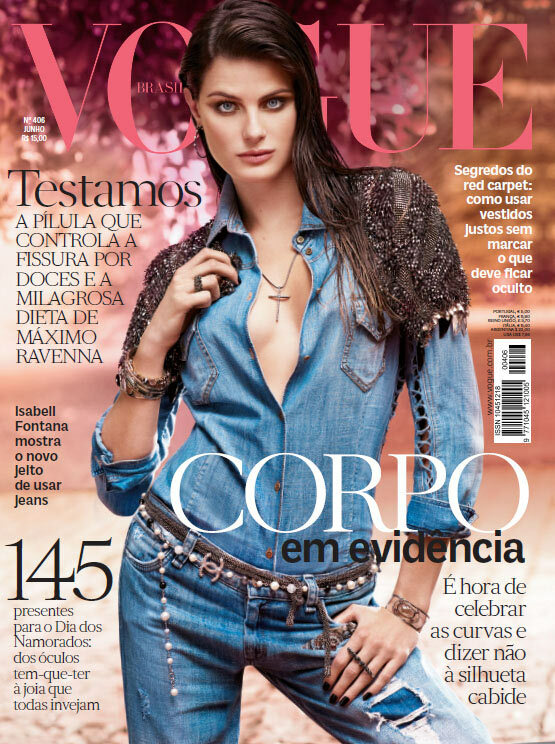 Pictured here is supermodel Isabeli Fontana in double denim on the June cover of Brazilian Vogue. This entry was posted on Thursday, May 31st, 2012 at 12:50 pm	and tagged with Brazil, Brazilian Vogue, Canadian Tuxedo, Denim, Denim on Denim, double denim, Fashion, Isabeli Fontana, Jeans and posted in Fashion. You can follow any responses to this entry through the RSS 2.0 feed.